A “snow bunny” I am most definitely not. Every winter without fail I either escape to the tropics or spend months sizzling in the Northern summer. So it’s fair to say I don’t do “the cold”. But after (kind of) surviving Sydney’s coldest winter in 30 years, I decided it was time don the thermals, pull up my leg warmers and take my little man to build his (and my) first snow man. DRIVE | Note to self, use GPS when you have never driven somewhere before. Too busy gas-bagging, apparently we missed a turn and ended up adding three hours to the five hour drive! We were pretty much on our way to Melbourne (whoops!) so instead of driving the freeway we had to navigate the treacherous Snowy River Highway. The old saying that "it’s about the journey and not the destination" is so true, had we not have missed the turn we wouldn’t have experienced literally driving up and over the Snowy Mountains. In a snow storm! This was my very my first encounter with snow and I was in awe of the scene I was driving through. We didn’t come across anyone for hours- It felt like Narnia. So magical. The conditions were so bad that the road was closed hours after we made it through. Thank goodness we had the Territory 4WD- no chains were needed, we felt sturdy and secure navigating the windy roads. And with DVD player in the back the kids barely noticed the 3 extra hours. Yep, 8 hours driving in one day and not one complaint. Full credit to Nemo and Hi 5. STAY | Conveniently located at the entrance of Mount Kosciuszko Park, we chose to stay at the family friendly (yet luxurious) Lake Crackenback Resort. Our 2 BR Chalet greeted us warmly with a roaring fire and bottle of red. Just what the Doctor ordered after such a long drive. This resort really has something for everyone- trampolines, pool and games room for the kids and Day spa and wine bar for us. Hands up for a full body massage after a day on the fields! I think it may have been one of the best massages I have had! The food is fantastic. The kitchens are fully equipped, but there was no way in hell we were cooking. The first night we got take away from the resort’s fine dining restaurant Cuisine to enjoy in our Chalet, and the second night we enjoyed a delicious meal at the more relaxed Alpine Larder. And who doesn't love a buffet brekky?! Starting each day with coffee and pastries overlooking the lake and snow capped mountains was divine. I would recommend Lake Crackenback to families heading for the snow- we had the most lovely experience. DAY TWO- PERISHER. The scenic drive to Perisher is spectacularly beautiful. I could not believe this was Australia. Gum trees topped with snow. A truly magnificent sight. We had to stop just to walk knee deep through the fresh snow beside the road. The kids play and Toboggan area is much bigger than Thredbo and the slope much steeper - too steep for the little ones to go down on their own, but for us we preferred the snow play at Perisher. 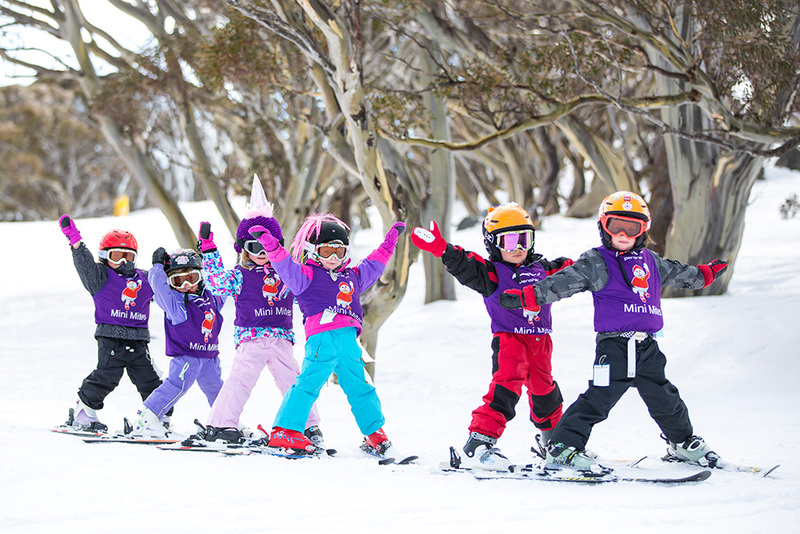 Both ski resorts have programs for kids from 2 years. For more info see HERE. Thank you to FORD for allowing us to test drive the TERRITORY- a brilliant family car. Image 1 courtesy Perisher Resorts. All other images my own.